The third installment in a legendary action RPG series developed by Bethesda since 1994. The story once again takes the player to the realm of Tamriel, this time to the east, to the Morrowind province. 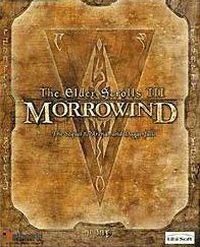 Another installment of one of the biggest cRPG series, The Elder Scrolls III: Morrowind for PC and XBX is the third epic adventure taking place in the huge world of the Tamriel Imperium. It is divided into 8 provinces, each of which is inhabited by a different race of different culture, religion and politics. The entire series is distinguished by the freedom of character development and quest order given to players. We may create practically every kind of character according to our liking. We may become a noble knight fighting evil, cunning thief protecting the interest of his guild, mage creating powerful and destructive spells, or a simple healer looking for a cure for a deadly plague. Our actions directly influence the character and the game itself. It evolves and changes. The protagonist may perform thousands of side quest in bigger and smaller towns or multi-leveled labyrinths, uncovering the charm of the huge Morrowind province. Along with this incredible freedom, we also get a 3D world created with the latest 3D technologies, offering many details and visual effects to enhance the realism of this fantasy land. The game also comes with a toolset, The Elder Scrolls Construction Set, allowing for editing the world of Morrowind for PC and XBX, changing the attributes of characters or monsters, adding new labyrinth or item, and even creating a completely new world.